Gong Xi Fa Ca, everyone! It’s indeed the Chinese New Year of the snake. This reminds me a story of a place much warmer than here. We were on a golf trip to Scottsdale, Arizona where the cacti are tall and the cold temps are small. Anyways, we’re at We-Ko-Pa, Cholla course, and have just stepped off the range, and head over to the 1st tee. Upon meeting the starter, he explained the rules of the day, including one of significant importance. If your ball should land in the “rough” you must take your longest club with you. I thought to myself why I would need my driver every time I entered into the brush. So I asked. The gentlemen replied it was not necessarily to hit your ball, but to alarm the diamondback rattlesnakes of your presence. Tapping the club on the ground well ahead of you would allow the snake a better chance of retreating or at least being stumbled upon. Needless to say, I took the stroke penalty and saved myself any venom plunged into my leg. I did see one slither across the 15th tee box, as did some others. We found out later that there was probably a nest around, and she on the hunt for intruders. Snakes aside, what I wouldn’t do to be back playing golf in the desert in February. Hawaii to Arizona to California to Canada? Yes, we had a glimpse last week of single digit temperatures, barely. But, seeing the tour begin in these hotspots, Phoenix with frost warning?, gets the juices flowing. Heading out from the basement or garage, grabbing your driver, and lashing away at the ball on any green patch of real estate, dormant for too long, was definitely on my mind. Thanks to global warming, perhaps, we have had little winter weather. Indoor ranges and simulators can keep the cobwebs from growing on your clubs, and your swing. But, there’s nothing like the “real” thing. Wouldn’t it great, though, to play all year round in an environmentally controlled space rather than travel to distant locale. So, then the only flying needed would be your ball onto the green. And your longest drive would be down the fairway, not a winding coastal road. Hawaii to Arizona to California…to Canada? Yes, we had a glimpse last week of double digit temperatures, barely. 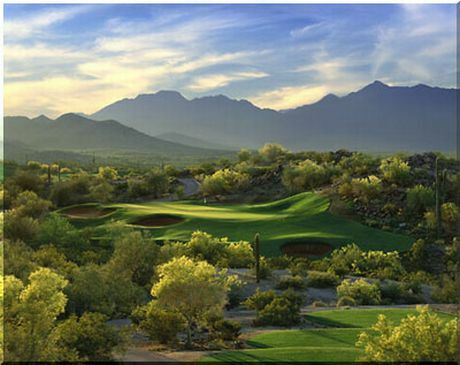 But, seeing the tour begin in these hotspots, Phoenix with frost warning?, gets the juices flowing. Heading out from the basement or garage, grabbing your driver, and lashing away at the ball on any green patch of real estate, dormant for too long, was definitely on my mind. Thanks to Wiarton Willy, we only have 4 more winter weeks, apparently. Indoor ranges and simulators can keep the cobwebs from growing on your clubs, and your swing. But, there’s nothing like the “real” thing. Wouldn’t it great, though, to play all year round in an environmentally controlled space. The only flying done would be your ball onto the green. And your longest drive would be down the fairway, rather than the coast.